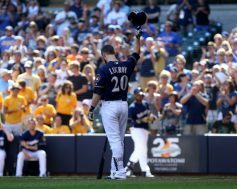 The Pittsburgh Pirates woes at Miller Park continued this afternoon as the Milwaukee Brewers completed a three game weekend series sweep with a 4-2 victory. Francisco Liriano struggled from the beginning today, forcing the Pirates to play behind again, as they did the entire weekend. Liriano gave up four runs on six hits with three walks through five innings. He fell to 6-11 on the season with a 5.46 ERA. Milwaukee took the lead in the bottom of the first inning with a hit and a little help from Eric Fryer. Hernan Perez singled with two outs, stole second base, and scored on a throwing error by the Pirates catcher. Keon Broxton’s leadoff solo homerun in the second inning pushed the lead to 2-0. 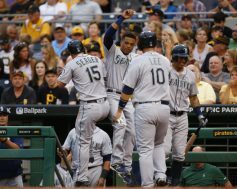 After winning two consecutive series to begin their eight game home stand, the Pittsburgh Pirates returned to action tonight against the Seattle Mariners looking for another strong showing at PNC Park. Unfortunately, familiar foes loomed once again on the North Shore, as missed opportunities and poor pitching plagued them in a 7-4 loss. Francisco Liriano was awful tonight, falling to 6-10 on season, giving up seven runs on eight hits with four walks in just 3.1 innings of work. As a result, the bullpen was used extensively, with a total of five relievers combining to shut the Mariners out the rest of the way. Unfortunately, the damage was already done. After last night’s terrible performance by Jeff Locke in a 9-5 loss to the Milwaukee Brewers, the Pittsburgh Pirates desperately needed a strong showing from their starting pitcher. 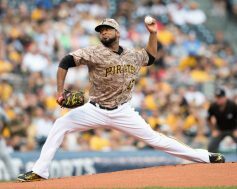 Tonight, Francisco Liriano did just that, putting forth one of his best starts of the season, as the Pirates beat the Brewers 5-3 in the rubber match of this three game series at PNC Park. Liriano improved to 6-9 on the season, giving up three runs (two earned) on four hits with 13 strikeouts and zero walks in 6.2 innings. Neftali Feliz got the final out in the seventh, Tony Watson pitched a scoreless eighth, and Mark Melancon earned his 28th save of the season with an easy ninth. The Pittsburgh Pirates returned to action tonight after four days off for the All-Star break. 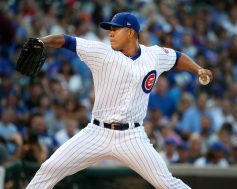 They would begin the second half of the season with a three game series on the road against the Washington Nationals. Pittsburgh entered the break on a hot streak, but Washington has played well for most of the first half and sat in first place of the National League East. Pitching dominated the first six innings as each pitcher allowed only one run. The Pirates would send Francisco Liriano to the mound, while the Nationals would counter with Stephen Strasburg. Strasburg is putting up Cy Young numbers, as he entered the night 12-0 with a 2.62 ERA. The Buccos lone run of the night came in the top of the fifth when Jordy Mercer singled home Starling Marte on a hit to right. The course of the 2016 season appears to be changing for the Pittsburgh Pirates. A little over a week ago all of the talk was about whom would be shipped out at the trade deadline, because of how far back they sat in the standings. After todays 6-3 victory over the Oakland Athletics, and sweep, Pittsburgh has their record back at .500, and with 81 games remaining, they remain in the hunt for one of two Wild Card spots. 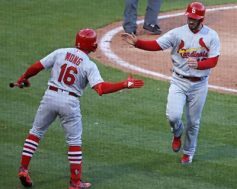 In last night’s victory over the Los Angeles Dodgers at PNC Park, the Pittsburgh Pirates scored four runs in one inning. 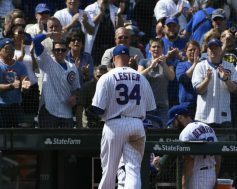 They wouldn’t score anymore the rest of the game, but the four runs were enough as they edged the Dodgers, 4-3. 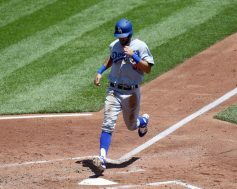 This afternoon, the Bucs once again had a four run inning, but unfortunately, they couldn’t hold the lead and the offense couldn’t muster another run as they fell to the Dodgers, 5-4. For all that went right last night for the Pittsburgh Pirates, tonight was a total disaster. 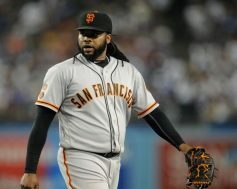 Wilfredo Boscan was called up from AAA and was shelled by the San Francisco Giants, while their starter Johnny Cueto made easy work of the Pittsburgh offense in a 15-4 victory tonight. Boscan looked good in the first three innings where he held them scoreless. That all changed in the fourth when San Francisco put up a seven spot. The first run came on a bases loaded walk to Brandon Crawford. Angel Pagan then cleared the bases with a grand slam to right center field. Later in the inning, with a runner on base, Conor Gillaspie hit a two run homer to close out the scoring.